If you love math and you want to work in education, you may want to consider pursuing a career centered around your passion by becoming a math resource specialist. Resource teachers are specialists within a specific subject area and may both teach lessons and lead other teachers and students with learning disabilities in the mathematics department. It is important that you know both the role of the resource specialist within the scope of mathematics and what you must do to land a position in a competitive climate. 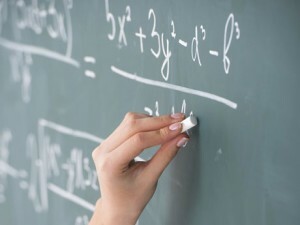 Read this guide on math resource specialists and then you will be able to make an informed decision about your future. What Does a Resource Specialist Do on a Daily Basis? It is no secret that one of the most difficult subjects for students in elementary school, middle school and high school is mathematics. Students who have learning disabilities that may affect their ability to grasp math concepts and techniques will have access to a resource teacher who specializes in helping students and adapting lessons and teaching methods. These resource teachers are special education teachers who use adaptive technology, special aids, interactive games, software, and other equipment to instruct students individually or to help teachers in a general setting work with students who are struggling, according to WiseGeek. They may coach other teachers to improve the school’s test scores and coordinate Individualized Educational Programs (IEPs) for students who have been recommended for the tutoring. Why Are Resource Specialists Important? Most teachers in primary school and even some in secondary school are generalists who teach all of the core subjects and follow lesson plans. Unfortunately, generalists might not possess the in-depth knowledge that they need to teach math to students who are struggling with traditional lessons. Studies show that resource specialists within the core subject area of math offer support to generalists and coaching that can make a dramatic change in test scores and how quickly students move from special education courses to general courses. In the end, having resource teachers will help both the student population and the teacher population. How Can You Become a Resource Teacher Specializing in Math? Now that you know the job duties and why it is important for resource specialists to work in the education arena, you should find out what it takes to go from generalist to specialist. Like all teachers in public schools, you will need a teaching credential or license to work in the start where you live. To pursue your credential, you need a Bachelor’s degree majoring in teaching but you will also need to consider pursuing a post-baccalaureate degree in special education with a minor in mathematics. Graduate degrees are typically required when you want a special education license, which is what is needs to be an educational resource specialist, according to Teach. It takes a special person to handle a role in special education. If you believe that you have the patience and the skills that you need to succeed in special education centered strictly around mathematics, now it is time to start studying. Consider where you are in the educational path and where you want to go in the future. Once you have done this, you can pursue your dream to help kids grasp math topics by becoming a Math Resource Specialist.